Grace is a Research Fellow in Maternal and Child Health and joined City University in Autumn 2017. Grace did her undergraduate degree in English at the University of Cambridge and after a short career in marketing, published her first book A Shape of My Own (Viking, 2006) / Thin (Penguin, 2007). Subsequently, she wrote and published a number of articles on mental health in the national press. In 2011, Grace completed an MSc Medical Humanities at King’s College London and, in 2012, was awarded a School of Arts Doctoral Studentship at Birkbeck, University of London. Grace’s PhD thesis (awarded 2017) proposes a new embodied model of mental health. 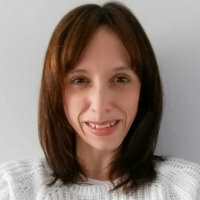 Whilst completing her PhD Grace has worked as a qualitative researcher in Health Sciences focused on cancer care, patient experience and professional roles. She joined City to work on a study focused on eating and moving in adolescent pregnancy. Grace has an interest in embodied methodologies and bodywork practices for the communication and representation of distress. Bowman, G. (2007). Thin. Penguin UK. ISBN 978-0-14-102284-0. Grace, (2017). Body Matters. Hektoen International: A Journal of Medical Humanities. Lucas, G., Gallagher, A., Zasada, M., Austin, Z., Jago, R., Banks, S. … Van der Gaag, A. (2019). Understanding complaints about paramedics: a qualitative exploration in a UK context. Australasian Journal of Paramedicine, 16. doi:10.33151/ajp.16.616 . Olander, E., Lucas, G. and Salmon, D. (2018). Weight management during teenage pregnancy: Issues to consider when developing appropriate support. British Journal of Midwifery, 26(12), pp. 770–774. doi:10.12968/bjom.2018.26.12.770 . Lucas, G. (2018). Gut thinking: the gut microbiome and mental health beyond the head. Microbial Ecology in Health and Disease, 29(2), pp. 1548250–1548250. doi:10.1080/16512235.2018.1548250 . Austin, Z., van der Gaag, A., Gallagher, A., Jago, R., Banks, S., Lucas, G. … Zasada, M. (2018). Understanding Complaints to Regulators About Paramedics in the UK and Social Workers in England: Findings from a Multi-Method Study. Journal of Medical Regulation, 104(3), pp. 19–28. doi:10.30770/2572-1852-104.3.19 . van der Gaag, A., Jago, R., Austin, Z., Zasada, M., Banks, S., Gallagher, A. … Lucas, G. (2018). Why do paramedics have a high rate of self-referral? Journal of Paramedic Practice, 10(5), pp. 205–210. doi:10.12968/jpar.2018.10.5.205 . Gallagher, A., Zasada, M., Jago, R., Austin, Z., Banks, S., Lucas, G. … Gaag, A.V.D. (2018). Fitness-to-practise concerns and preventative strategies. Journal of Paramedic Practice, 10(4), pp. 163–169. doi:10.12968/jpar.2018.10.4.163 . Bridges, J., Lucas, G., Wiseman, T. and Griffiths, P. (2017). Workforce characteristics and interventions associated with high-quality care and support to older people with cancer: A systematic review. BMJ Open, 7(7). doi:10.1136/bmjopen-2017-016127 . Cox, A., Lucas, G., Marcu, A., Piano, M., Grosvenor, W., Mold, F. … Ream, E. (2017). Cancer survivors' experience with telehealth: A systematic review and thematic synthesis. Journal of Medical Internet Research, 19(1). doi:10.2196/jmir.6575 . Coombes, L.H., Wiseman, T., Lucas, G., Sangha, A. and Murtagh, F.E.M. (2016). Health-related quality-of-life outcome measures in paediatric palliative care: A systematic review of psychometric properties and feasibility of use. Palliative Medicine, 30(10), pp. 935–949. doi:10.1177/0269216316649155 . Crisford, M., Lucas, G. and Wiseman, T. (2016). Nurse-led telephone triage for people with suspected colorectal cancer. Cancer Nursing Practice, 15(1), pp. 18–25. doi:10.7748/cnp.15.1.18.s20 . White, I.D., Sangha, A., Lucas, G. and Wiseman, T. (2016). Assessment of sexual difficulties associated with multi-modal treatment for cervical or endometrial cancer: A systematic review of measurement instruments. Gynecologic Oncology, 143(3), pp. 664–673. doi:10.1016/j.ygyno.2016.08.332 . Wiseman, T., Lucas, G., Sangha, A., Randolph, A., Stapleton, S., Pattison, N. … Dolan, S. (2015). Insights into the experiences of patients with cancer in London: Framework analysis of free-text data from the National Cancer Patient Experience Survey 2012/2013 from the two London Integrated Cancer Systems. BMJ Open, 5(10). doi:10.1136/bmjopen-2015-007792 . Jones, C.E.L., Maben, J., Lucas, G., Davies, E.A., Jack, R.H. and Ream, E. (2015). Barriers to early diagnosis of symptomatic breast cancer: A qualitative study of Black African, Black Caribbean and White British women living in the UK. BMJ Open, 5(3). doi:10.1136/bmjopen-2014-006944 . Jones, C.E.L., Maben, J., Jack, R.H., Davies, E.A., Forbes, L.J.L., Lucas, G. … Ream, E. (2014). A systematic review of barriers to early presentation and diagnosis with breast cancer among black women. BMJ Open, 4(2). doi:10.1136/bmjopen-2013-004076 .